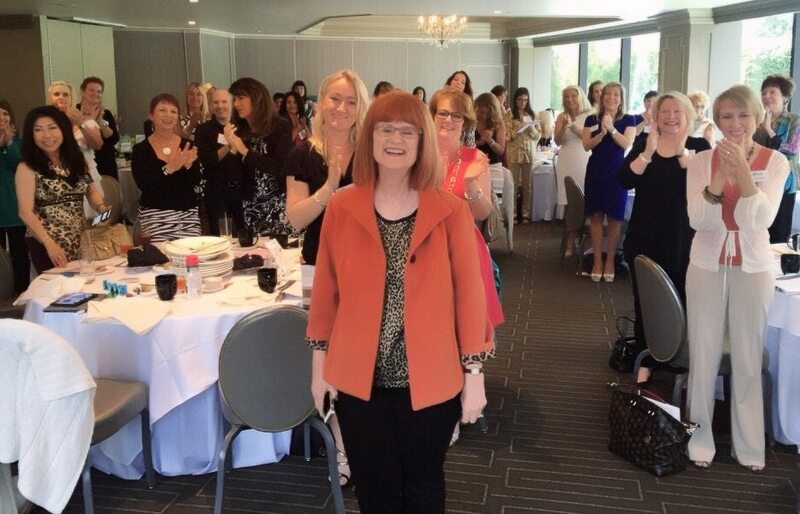 Standing ovation at eWomen Network Orange County – My People!! But as she spoke, I began to understand. Bill Gates didn’t build Microsoft on his personal savings. Nor did Stephen Spielberg, Steve Jobs, or any other successful person who built a big company. They used OPM – Other People’s Money. That means borrowing from banks, investors, family, friends, credit cards. For all the bad press the banks and credit cards get for getting people in trouble, they still have made it possible for the small business owner to get easy access to capital to realize their dream. Ready to make the leap to success? The next 8-week Financial Stress Reduction teleclasses begin in two weeks! Someone doubles their income in every class – in one class a therapist went from 12 clients to 23 clients in just 8 weeks, a coach had the biggest month of her career and the single biggest coaching client she’s ever had ($35,000), a woman in manufacturing increased her sales by 22% over her previous year, and a new real estate agent who had never sold a home sold three homes during the course. For more than 25 years, I have helped people create extraordinary results in their lives in just 8 weeks. The Financial Stress Reduction® telecourse promises results or your money back! For more details click here https://www.chellie.com/financial-stress-reduction-telecourse-information/ Then call Chellie at 310-476-1622 for your free consultation!